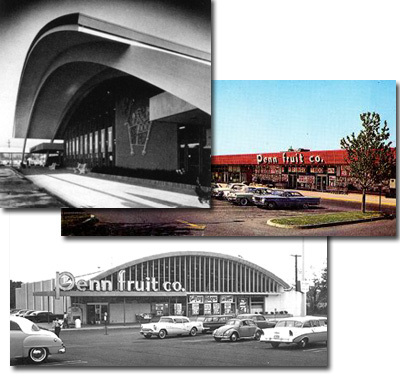 Pennsylvania chain with distinctive store designs. Overexpansion and aggressive competition drove the chain out of business in the mid-1970s. Not affiliated with Penn Traffic, current owner of Big Bear. 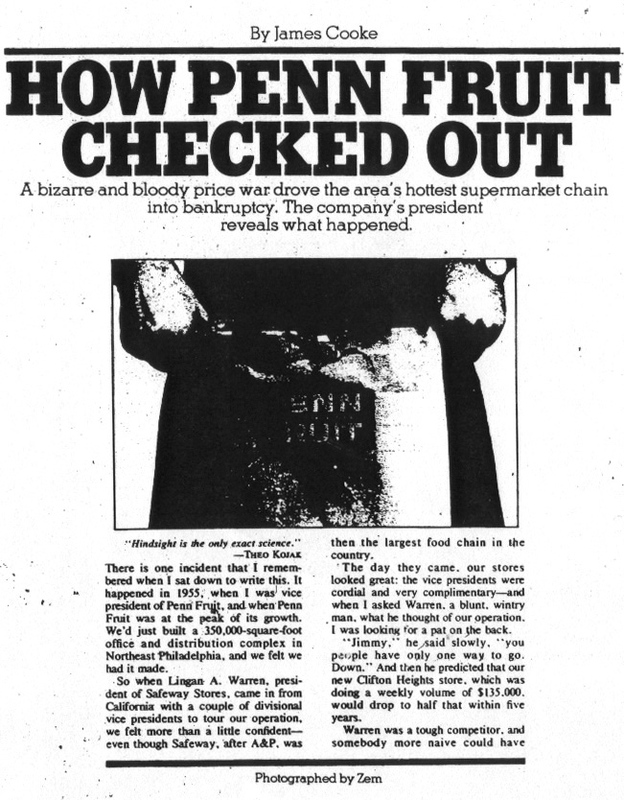 The following article is from Philadelphia Magazine, circa 1978, and contains an extensive history of Penn Fruit, particularly its final years. Alas, I cannot remember who sent me the article, nor do I have the specific date/issue of the magazine.